Nashville, TN -- The Grand Ole Opry® presented by Humana® is set to celebrate its 87th Birthday on Oct., 5 & 6 with star-packed shows. Ricky Skaggs, one of the most awarded artists in country and bluegrass music, will perform during a special Opry Birthday Concert at 1:00 p.m. Oct. 6. Following his performance, Skaggs will visit The Opry Shop from 2:30 – 3:30 p.m., signing his new CD Music To My Ears. The Plaza in front of the Opry House will be abuzz with games, food, free live performances on the Opry Plaza stage including Casey James and more. The celebration will also feature backstage tours, free music in the Opry Plaza, and more. Artists scheduled to perform on Fri., Oct. 5 include Rodney Atkins, Steve Wariner, and others. On Sat., Oct. 6, triple CMA nominee Jason Aldean, Casey James, Jimmy Dickens, Ray Stevens, and more will be part of two Opry shows as they share the stage with a larger-than-life Opry 87th birthday cake. 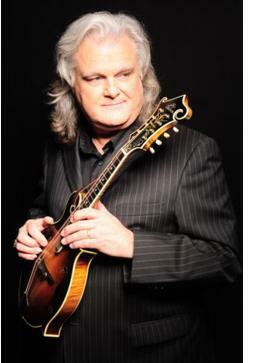 Ricky Skaggs has been an Opry member since Member Since 1982. The great Chet Atkins once credited Ricky Skaggs with “single-handedly saving country music.” Skaggs definitely had the credentials for this role: He was already an accomplished singer and mandolin player by his teenage years in Eastern Kentucky. The child of a musical family, he entered the world of professional music with another future star, his friend Keith Whitley. Bluegrass pioneer Ralph Stanley took the young musicians under his wing in 1971. Stints with other top acts helped build Skaggs’ reputation for creativity and musical drive. Forming the band Boone Creek brought Skaggs to center stage, where he’s remained since. Beginning in the late 1970s, Skaggs turned his attention to mainstream country music. With the release of Waitin’ for the Sun to Shine in 1981, Ricky moved to the top of the country charts. He remained there through most of the 1980s—earning a spot in Billboard’s Top 20 artists of the decade and Top 100 of the past 50 years. He garnered eight awards from the Country Music Association, including Entertainer of the Year in 1985, nine Grammy®’s, and dozens of other honors. Ricky continues to actively tour with his band Kentucky Thunder while mentoring up-and-coming artists for his label, Skaggs Family Records.